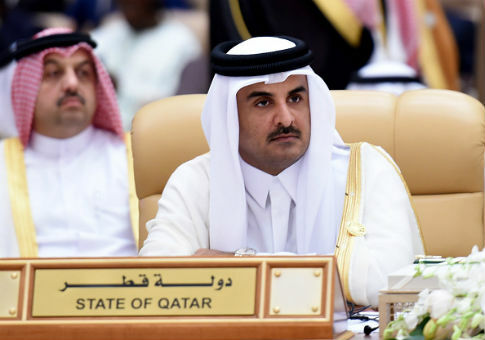 A state-backed book fair in Qatar is promoting books containing Anti-Semitic conspiracy theories, prompting calls for the U.S. Embassy to pressure Qatari officials to remove the titles. The Doha International Book Fair (DIBF), going on now in Qatar’s capital, listed on its catalogue such anti-Semitic titles as Klansman David Duke’s Awakening to Jewish Influence in the United States of America, in Arabic, according to the Anti-Defamation League. ADL’s CEO and national director Jonathan A. Greenblatt pointed out the book fair has done this in previous years, and he asked the U.S. to use diplomatic channels to stop the promotion of these books. "Once again, this high-profile, government-sponsored book fair is being used to promote blatantly anti-Semitic books that deny the Holocaust and accuse Jews of controlling the world and trying to undermine Islam," Greenblatt said. "We call on the U.S. embassy to make clear to Qatar’s government that this hate is unacceptable." The U.S. Embassy is one of the participants in the book fair, which is held under the patronage of the emir of Qatar, Sheikh Tamim bin Hamad Al Thani, and was officially organized by the Ministry of Culture and Sports. Greenblatt wrote a letter to William Grant, chief of mission and chargé d’affaires of the United States in Qatar, requesting the embassy leverage the Qataris to cease promoting anti-Semitic books. This smorgasbord of anti-Semitic books clashes starkly with the fair’s purported goals, since its 2018 theme is "Doha, A City of Knowledge and Conscience." Doha Exhibition and Convention Center declares on its website that the fair is intended to promote "cultural diversity" and to inspire "dialogue." "DIBF is regarded as one of the largest international book fairs of the region with extensive participation from different countries around the world. It is a platform to exchange cultural diversity and a space to inspire dialogue and share knowledge," the website says. This entry was posted in Issues and tagged Anti-Defamation League, Anti-Semitism, Qatar. Bookmark the permalink.